(enough to cover the leaves). be used for 0.4 ha area. a way that no oil will come out. cloth and soak overnight in water. The following day, squeeze out the extract. Use powder cake as soil manure. The amount is good for ~ 1/2 ha area. Spray immediately on infested plants. ingredients in a muslin pouch. Mix-in the Aloe vera juice. with 10 liters of water. Add soap. When mixed with other plants, take extra precaution as the extract could be poisonous. 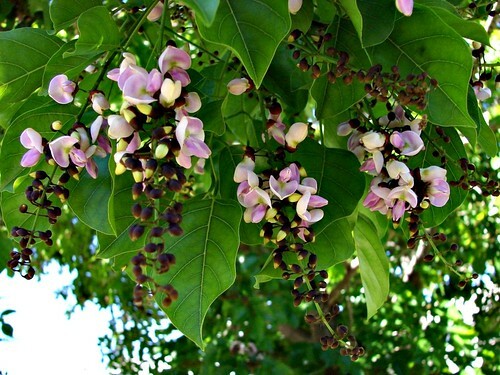 Poison nut trees (Strychnos nux-vomica) are poisonous. Seed extracts are found to be toxic to fish.